OPTICA: the first high-performance low visual impact antenna. 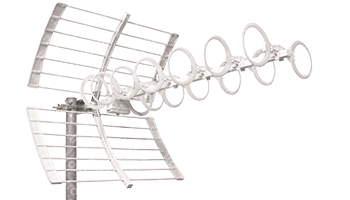 Optica is the first all over painted antenna, carefully finished and ensuring the highest degrees of corrosion resistance. The coating is fully carried out in the paint shop just set up in the production plant. The no-rinse passivation technique, based on organic resins and derivatives of titanium, grants protective and environmental quality to the powder coating of the antenna. The antenna is made with elements of circular shape, completely pre-assembled for a quick and simple mounting. It has an excellent frequency response and a high match. Its modern design with smooth and careful lines, the compact sizes and the white color coating minimize the visual and environmental impact. The antenna is highly recommended in the presence of weak signals and is optimized for the reception of the television band up to the channel E60.